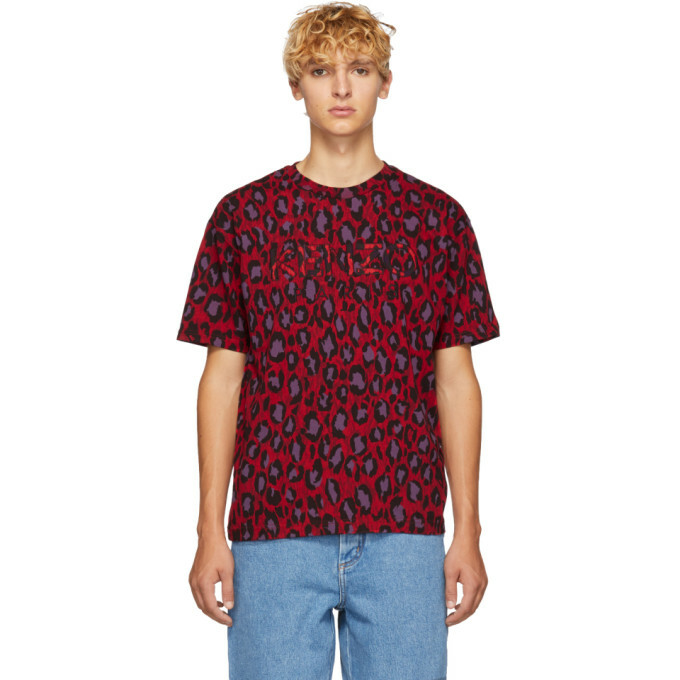 Short sleeve cotton jersey t-shirt featuring leopard pattern in tones of ‘med’ red, purple, and black. Rib knit crewneck collar. Tonal logo appliqués at front. Tonal logo embroidered at back. Tonal stitching.